Golmaal Again and Secret Superstar 4th Friday (4th Week) Collection Update. Golmaal Marches towards 200! 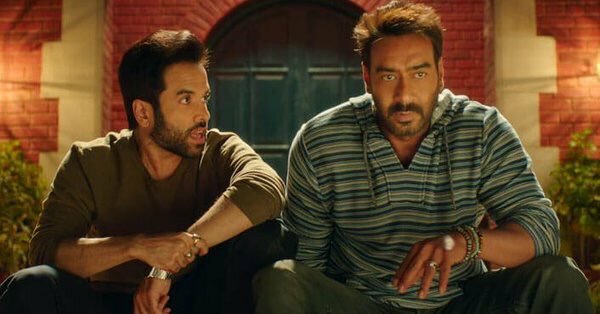 Golmaal Again is all set to touch 200 crore nett mark on 4th Sunday (24th day) at box office. Film has shown first big drop on Friday, but still have enough potential to touch or go beyond 200 crore nett by the end of fourth weekend. Golmaal Again has collected an approx 60 lakh nett on 4th Friday (22nd Day). Drop from previous day is approx 50%. However, film is facing competition from multiple new releases this week. Film should see big growth on 4th Saturday and 4th Sunday and most likely should touch 200 crore nett by end of 4th Sunday. Even if it fails it will definitely touch it by 4th Monday. Golmaal Again current total stands at approx 198.35 crore nett. Week 2 - 46.85 crore nett. Week 3 - 14.95 crore nett. Fri - 0.6 crore nett (est). Total - 198.45 crore nett (approx). Secret Superstar has collected around 20-25 lakh nett on 4th Friday. Film collections are coming down now. Film total business at the end of day 22 is approx 61 crore nett mark. Film lifetime collection is heading towards 63 crore nett mark. Because of controlled budget, film is already a big profitable venture for all associated with it. Film should emerge as Semi HIT at box office in final verdict. #GolmaalAgain is expected to cross ₹ 200 cr over the weekend... [Week 4] Fri 62 lakhs. Total: ₹ 198.58 cr. India biz.